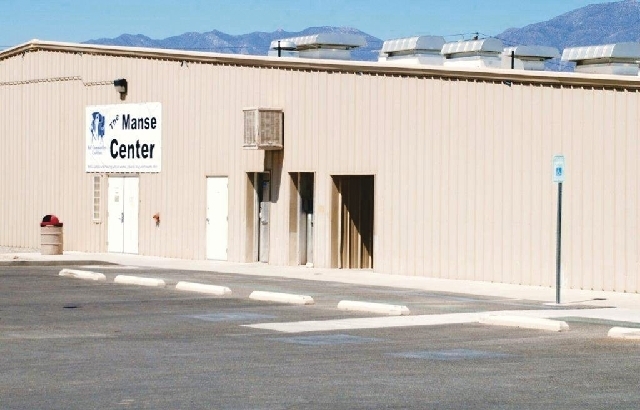 Thanks to a grant awarded to Nye County by the Environmental Protection Agency and administrated by the Nye Communities Coalition Training Program, no-cost environmental jobs training classes are being offered beginning with orientation on July 23 at the coalition campus, 1021 E. Wilson Road. The 10-week intensive training is open to all ages, working or not. The intent is to provide skills, knowledge and credentials to work in a variety of environmental fields. Job readiness skills are provided throughout the program. “It is the only training of its kind being offered in the state of Nevada,” said Wigchers. The 140 hours of training includes how to recognize and deal with toxic materials, use certified safety techniques, administer CPR, and many others. Wigchers said, “If there was a fee for all this, it would be over $3,000 for each student, so we are looking for people who are committed to starting and finishing.” The total available money provided by the EPA grant is $155,000 to administer and deliver the training, and conduct evaluations. Attendees who sign up for the training will attend a very brief interview of six questions scheduled for July 24, 26 and 30 at the NyECC campus. Details given at the orientation. There is also mandatory drug testing. “We are hearing from various businesses in the area like SolarReserve and Round Mountain Gold in Tonopah and a new propane business coming to Pahrump, that they see the benefit of the program and look forward to having educated people in the area to draw from for jobs now and in the future,” said Wigchers. Wigchers noted that it has been a learning effort for NyECC in that once the grant was awarded, the coalition had to locate trainers available for a 140-hour training schedule. “Our trainers do this work professionally, and come to us from various places in Nevada, but teach all over the state and sometimes, the nation. In other words, this training is in demand,” he said. The classes will be held in three cycles with approximately 25-28 people in each. There are 75 slots in all and resumes are coming in on a regular basis. “It is important to come to the orientation to get a clear picture of what is required of each participant,” said Wigchers. “We hope to have a full house. It is very worth all it takes to start and finish,” he continued. Graduates will receive a number of certificates plus the skills and knowledge to work in varied types of environment-related fields. Prospective jobs for program graduates include but are not limited to: agriculture and forestry (technicians, inspectors and managers); and energy efficiency (such as installers, mechanics, maintenance and technicians). Also included are environmental protection, governmental and regulatory work, green construction, manufacturing, mineral resources/mining, recycling and waste and renewable energy. To be eligible you must be: a Nevada resident, 18 years old or older, have a high school diploma or GED, be physically able to participate in the training and be able to commit to attending every hour of every class. After all three training cycles are complete and certifications awarded, the remainder of the work for Wigchers is to track the working status of the graduated for 18 months, support them, and monitor their progress in order to evaluate the overall results of the training.